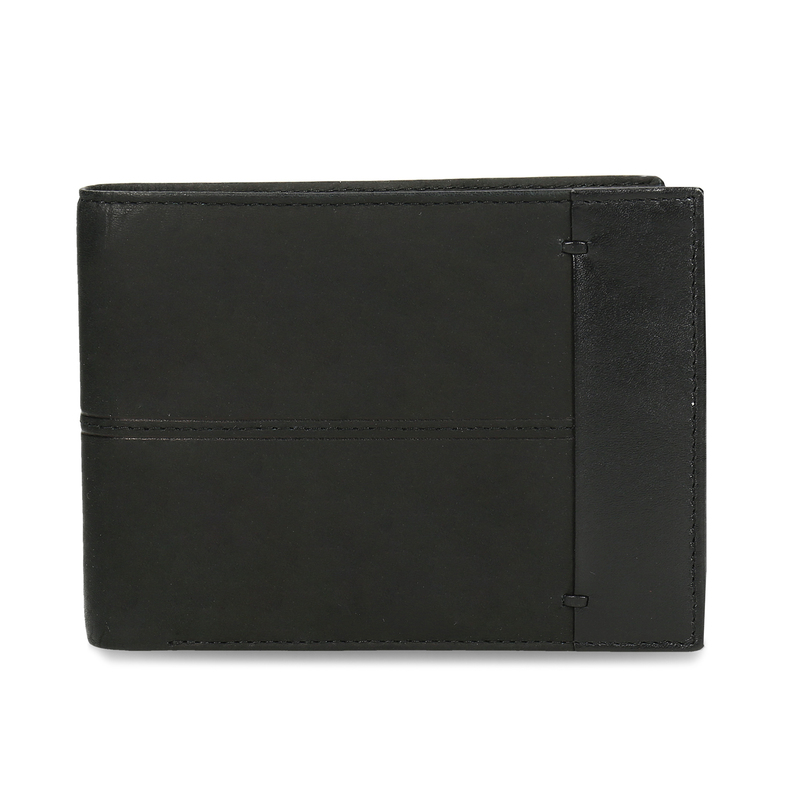 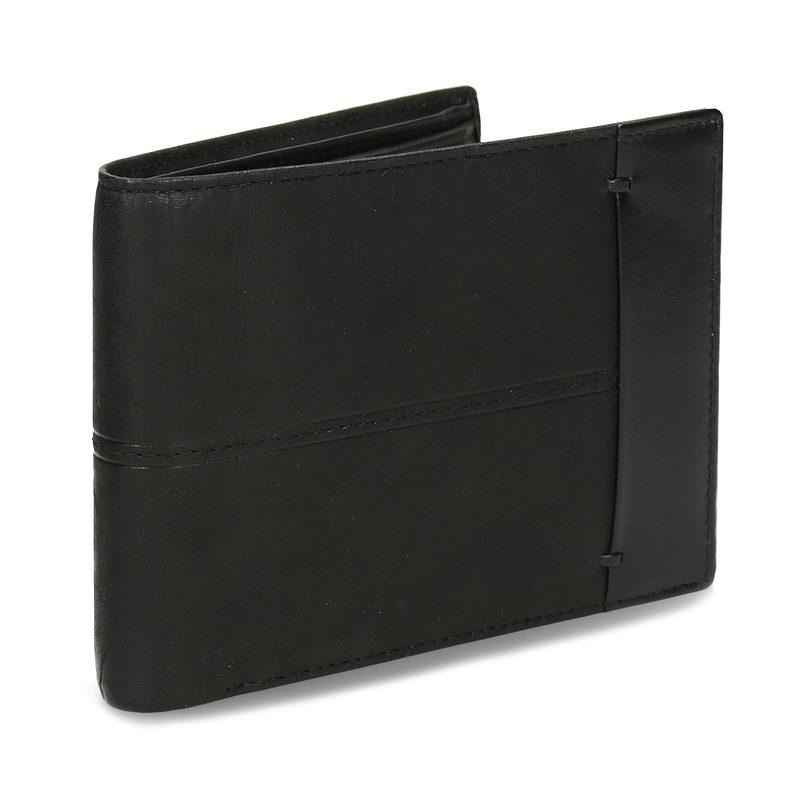 This premium leather wallet is a must for any true gentleman. 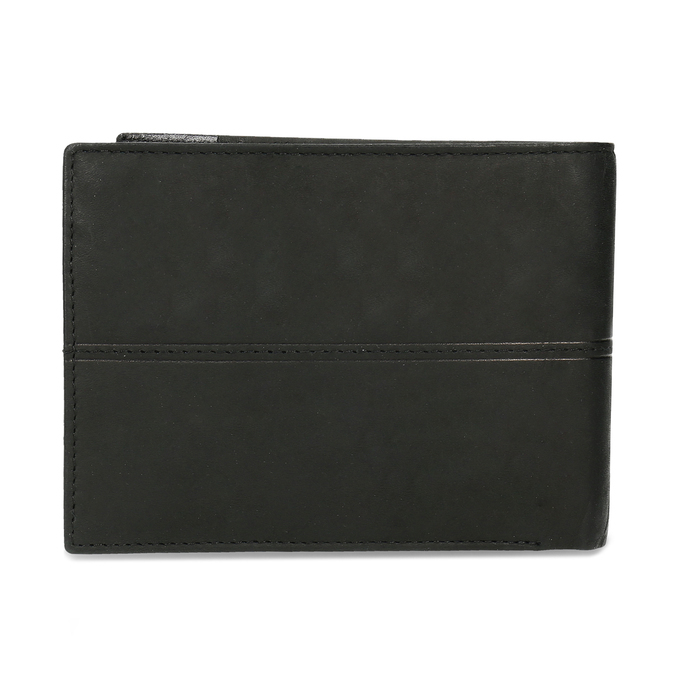 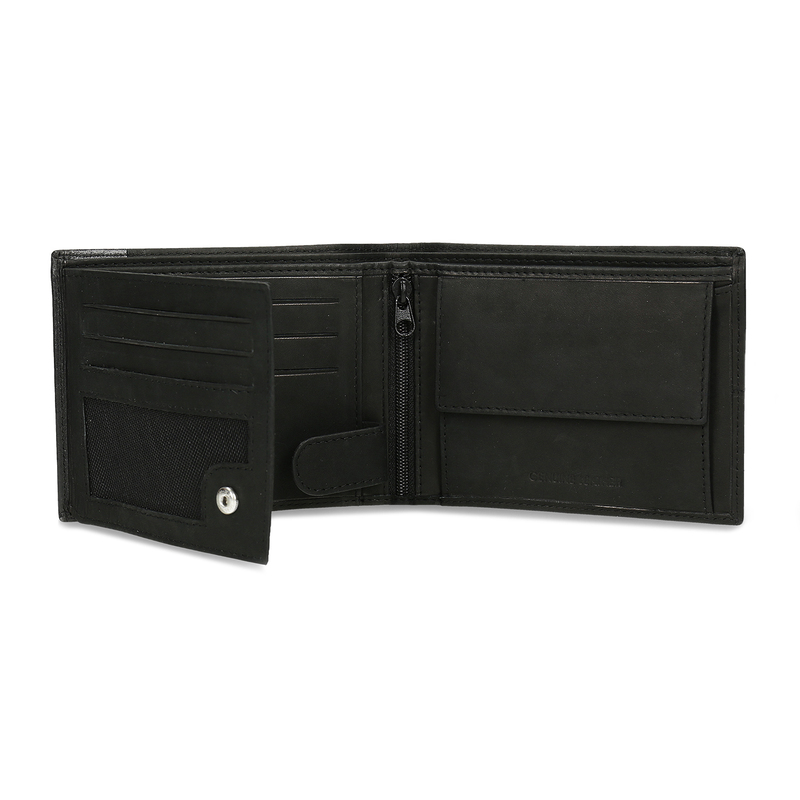 It has a classic fold-over design and inside there are compartments for cards, banknotes and a small pocket for change. 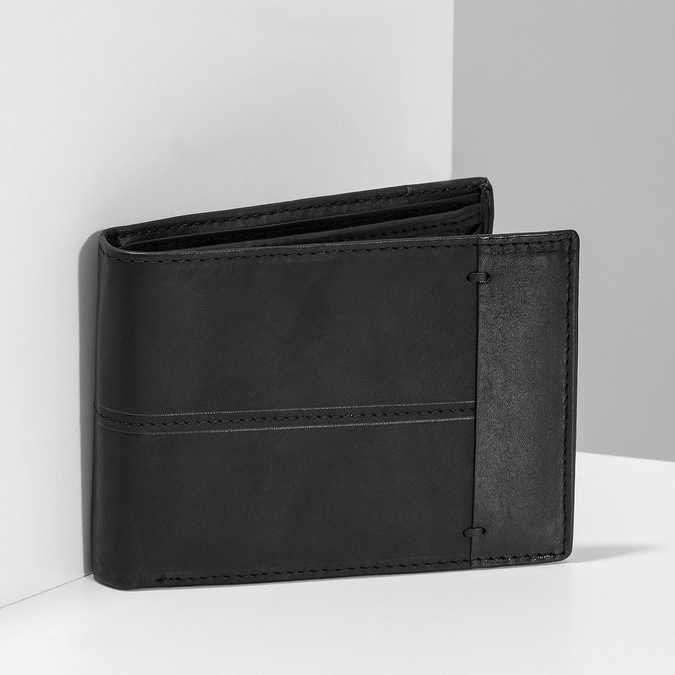 The stitching on the front makes for an interesting detail.